This batter is mixed well and leave it for 30 minutes. Take 1 big size spoon for put the batter as shown in Video.Cover in Round Shape. Cover this with Big size plate. After 5 minutes check it. Its done one side. Change the side with spoon as shown in the video. If its not done leave for 5 minutes more. After 10 minutes its done one side change the side and cover it with plate again. After 10 minutes its done ow boht sides this Handvo is properly baked now we can divide 4 partitions. Serve Suji Instant Vegetable Handvo ready to eat with Curry , Sambhar or with Sauce and green chutney. 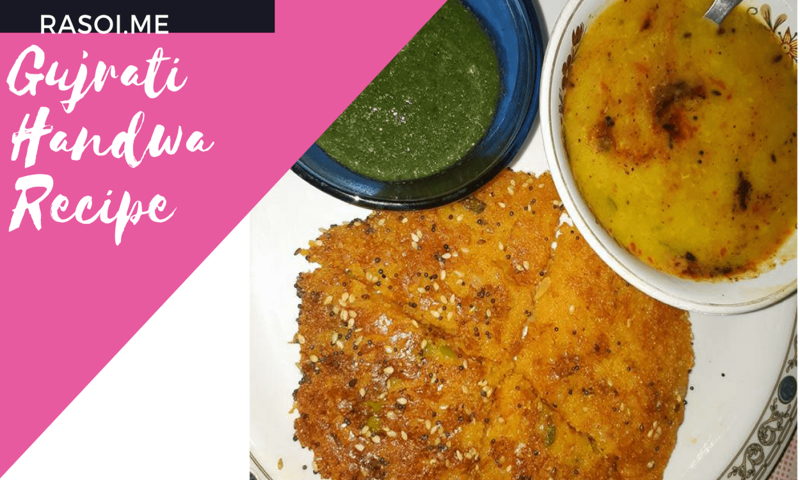 No Replies to "Handvo Recipe | Suji Handvo Recipe -गुजराती स्वादिष्ट हांडवो कढ़ाई में बनाये | Instant Handvo"